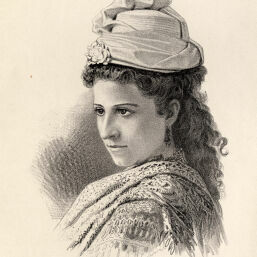 Nearly half-length portrait, wearing earrings, hat. 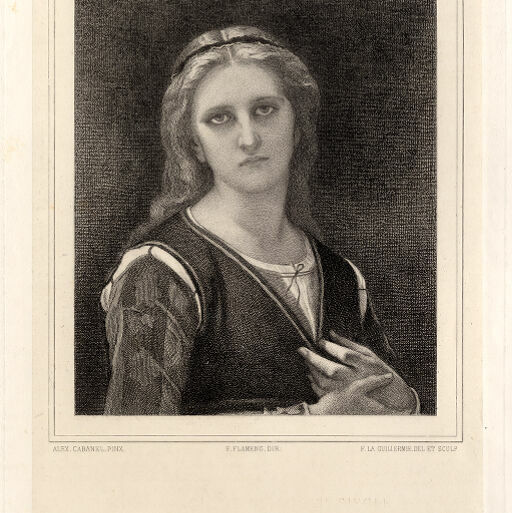 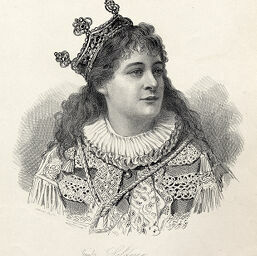 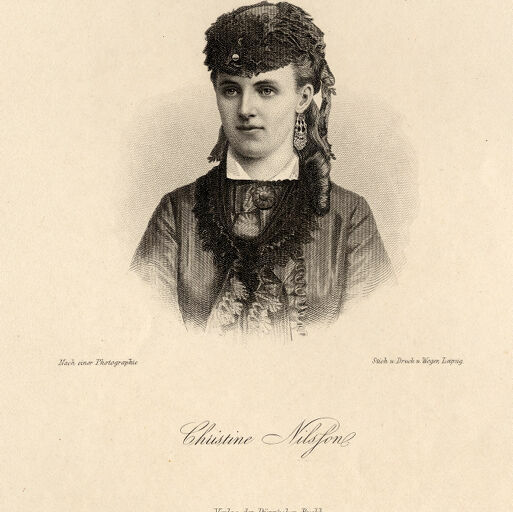 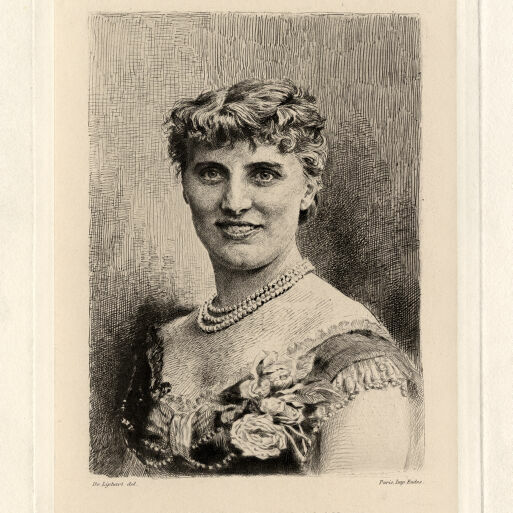 Christine Nilsson as Marguerite in "Faust"
Three-quarter-length portrait, wearing many bracelets. 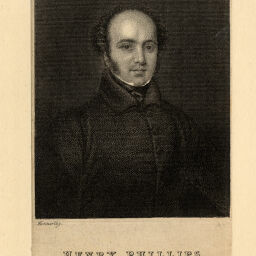 Portrait, bust, wearing hat with long train. 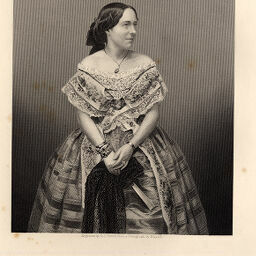 Portrait, bust, wearing beaded garment. 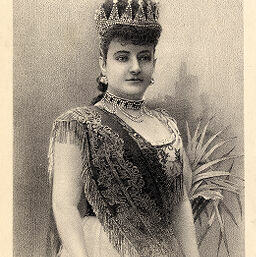 Portrait, bust, wearing choker with brooch, headdress with stars. 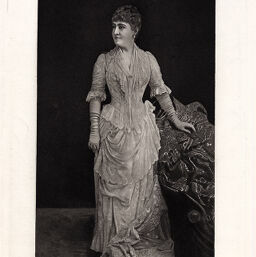 Whole-length portrait, wearing petticoat with long train. 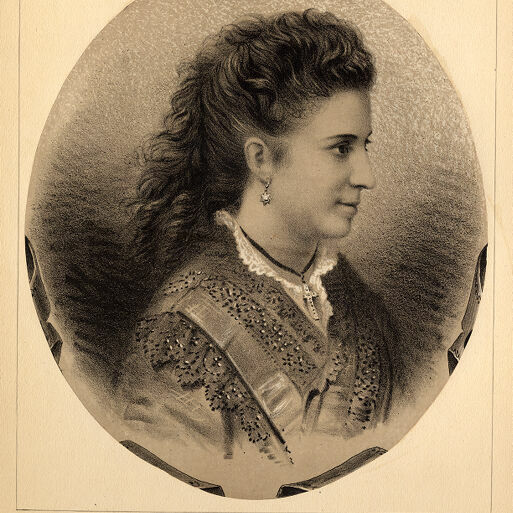 Adelina Patti as Semiramis in "Semiramide"
Three-quarter-length portrait, wearing crown. 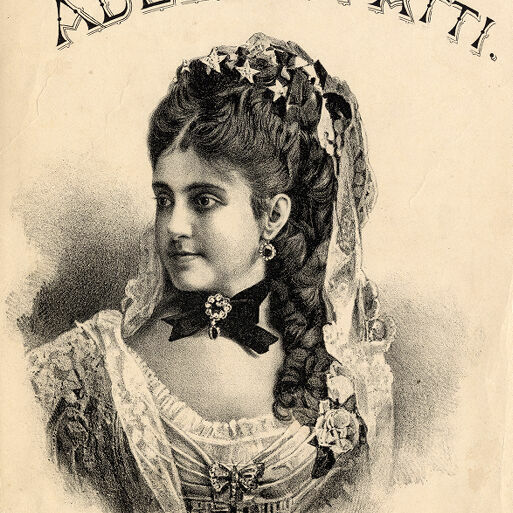 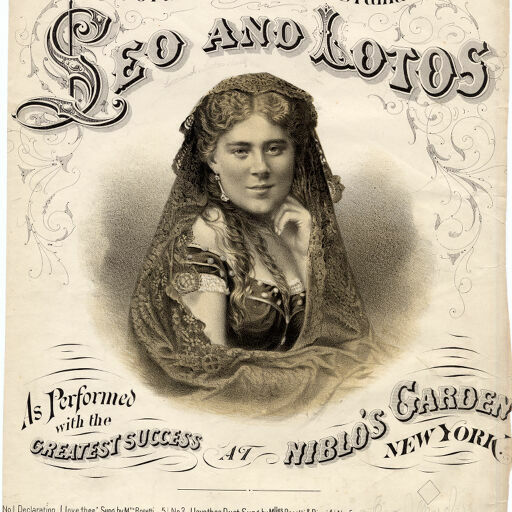 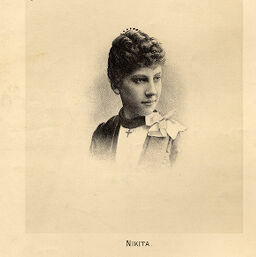 From music sheet, "The Patti Waltz Song." 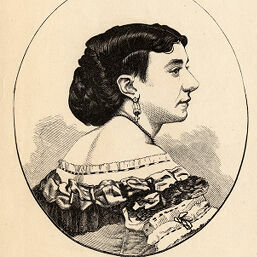 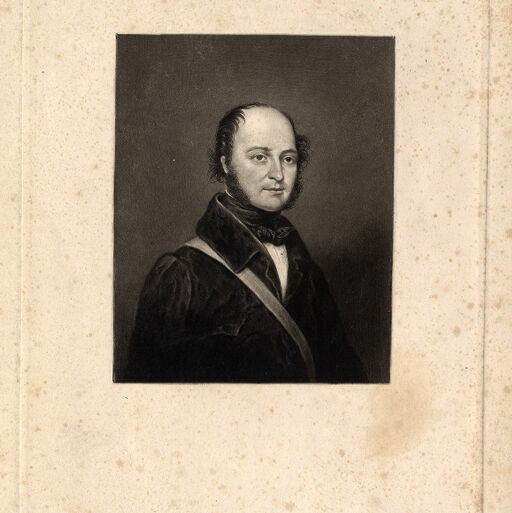 Portrait, bust, back to front. 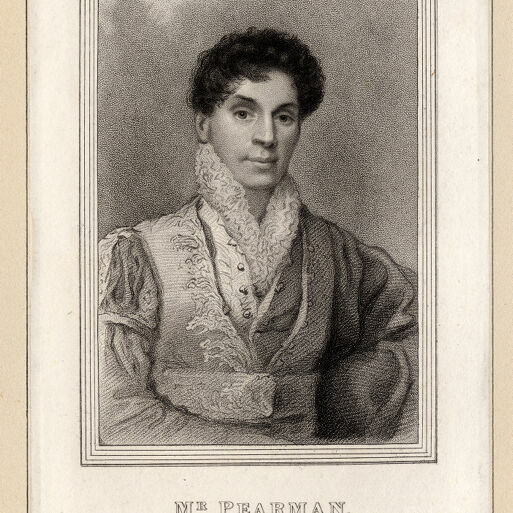 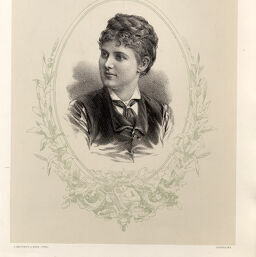 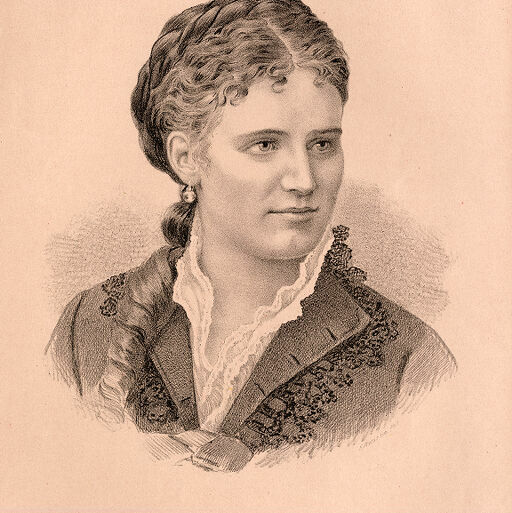 Caption: "Mrs. Howard Paul." 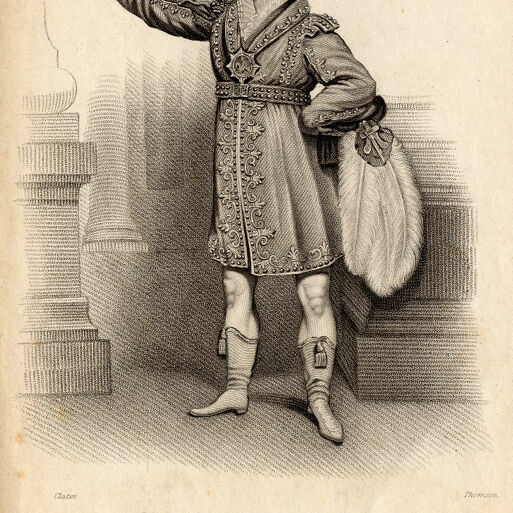 William Pearman as Leander in "The Padlock"
Half-length portrait, wearing robe with trim, architectural background. 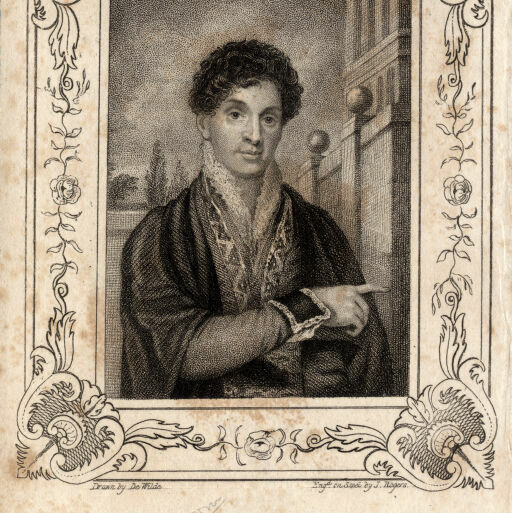 Half-length portrait, wearing jacket with flower/leaf embroidery. 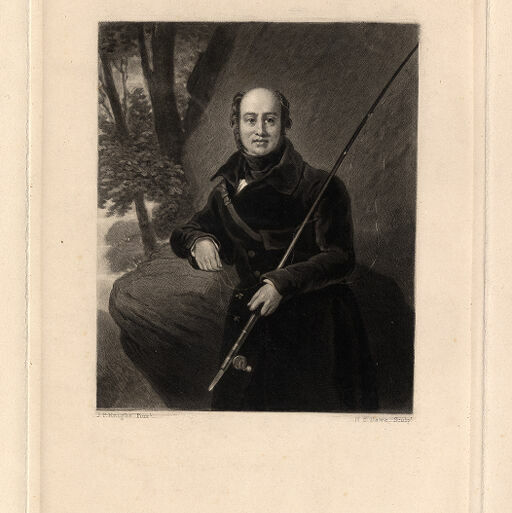 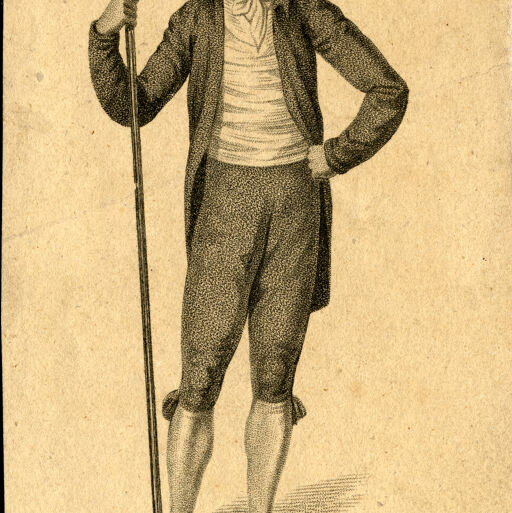 William Pearman as Prince Orlando in "The Cabinet"
Three-quarter-length portrait, holding fishing rod. Henry Phillips as Cedric in "The Maid of Judah"
Henry Phillips as the Fiend Father in "Fra Diavolo"
Half-length portrait, wearing garmet with diamond shape design. 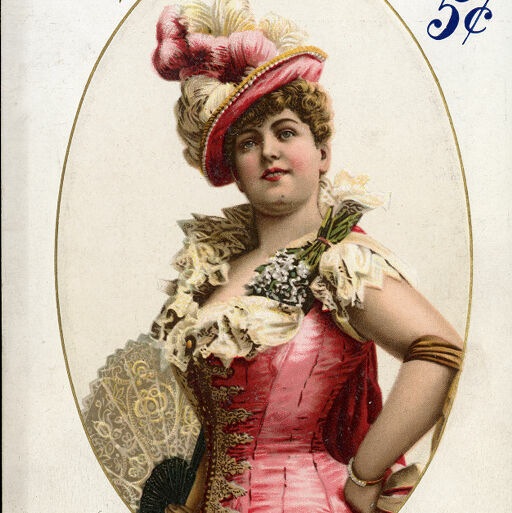 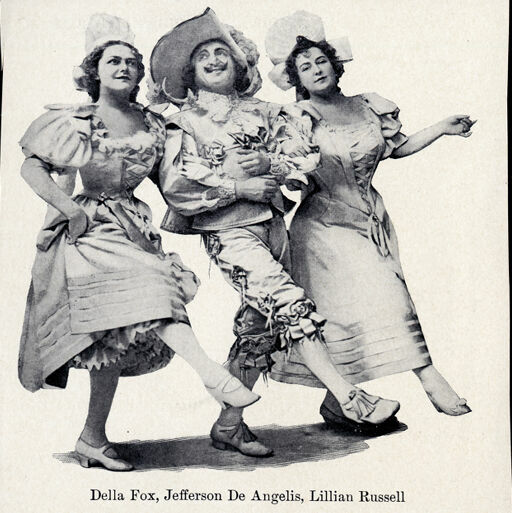 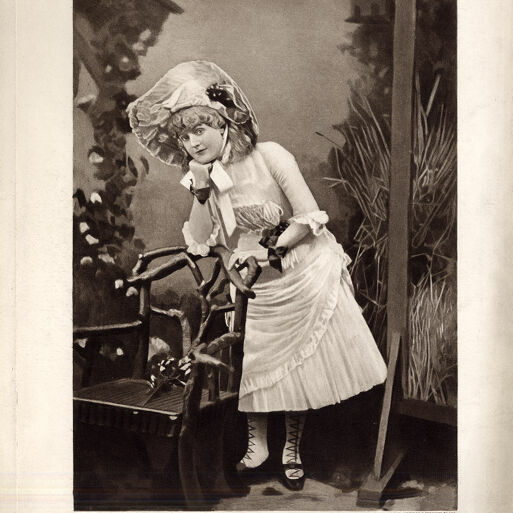 Henry Phillips as Uberto in "The Freebooters"
Minnie Palmer as Tina in "My Sweetheart"
Whole-length portrait, wearing large hat. 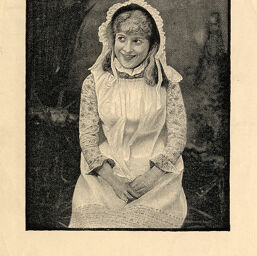 Three-quarter-length portrait, wearing bonnet. Facsimilie signature. 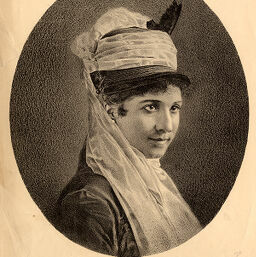 Half-length portrait, lace scarf covering head and shoulders. 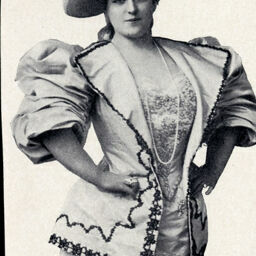 Three-quarter-length portrait, wearing hat with wide, round brim. Three-quarter-length portrait, wearing pink hat, bodice. Embossed color lithograph. 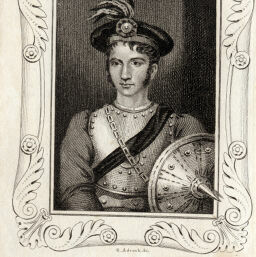 Whole-length portrait, dancing with arms linked. 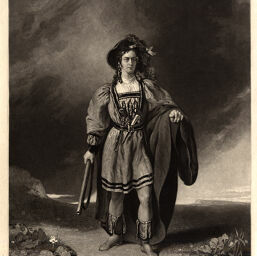 John Sinclair as Joe in "Poor Vulcan"
Whole-length portrait, with shepherd's crook. 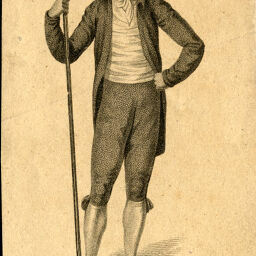 With text: "A shepherd become, with my pipe and my crook." 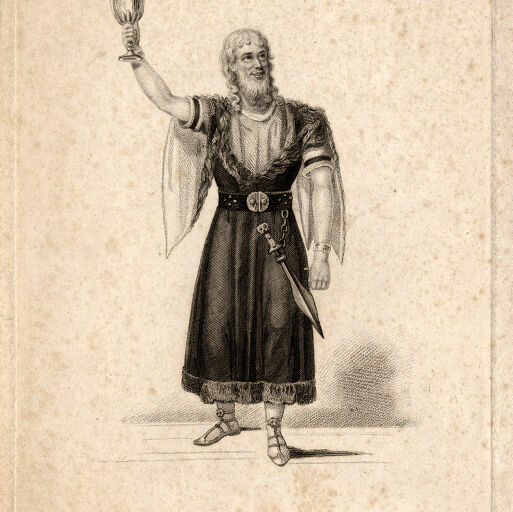 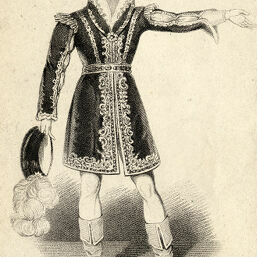 John Sinclair as Oscar in the opera "Malvina"
Half-length portrait, in armor and cap, shield with point. 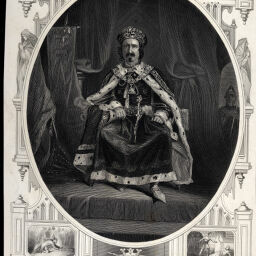 John Sinclair as Prince Orlando in "The Cabinet"
Whole-length portrait, standing, wearing ruff, embroidered cotehardie, jockey boots. George Smith as Peter in "Up All Night"
Whole-length portrait, wearing long trousers, hat, short jacket, shoes. 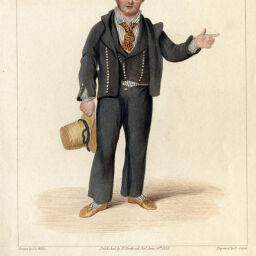 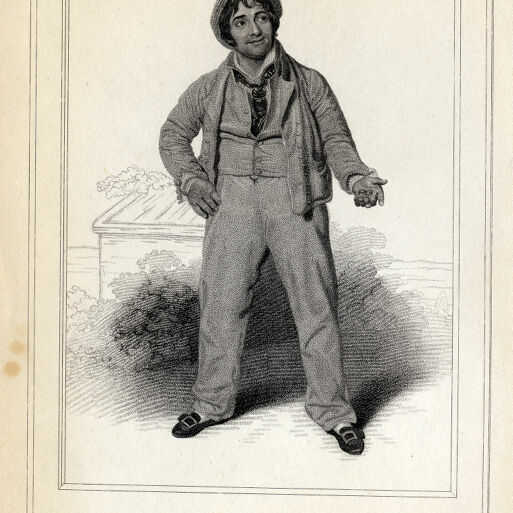 George Smith as Robin in "No Song, No Supper"
wearing trousers, shoes, short jacket, striped shirt, orange tie. With text: "A British Seaman holds his life in keeping for his King, his Country, and his friend." 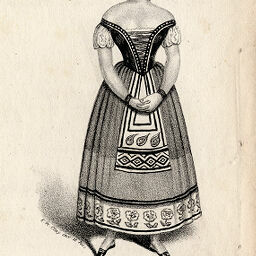 Colored print. 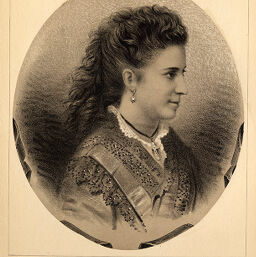 Emily Soldene as Chilperic in "Chilperic"
Portrait, bust, wearing crown and uniform with braid and ruff around neck. 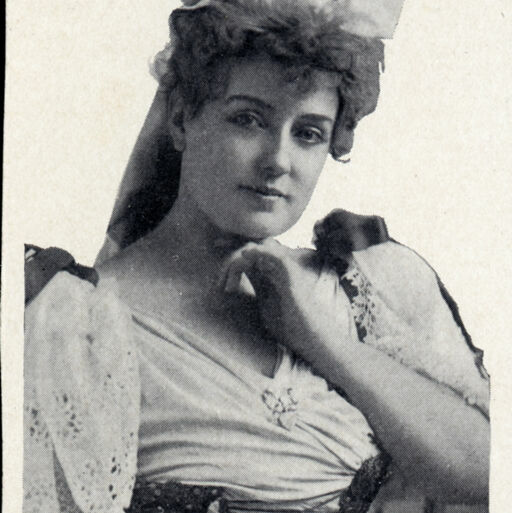 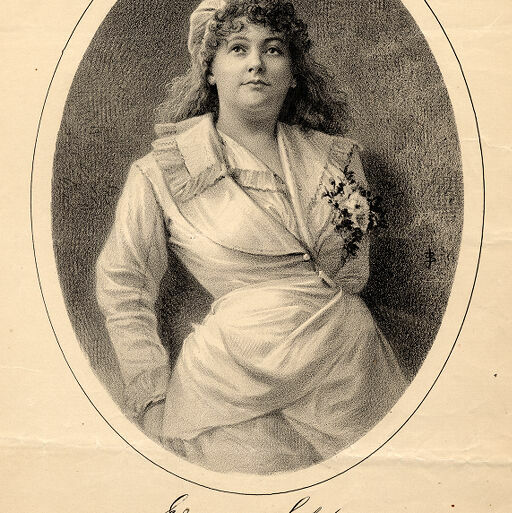 Emily Soldene as Drogan in "Genevieve de Brabant"
Three-quarter-length portrait, standing. 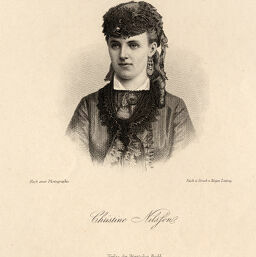  Facsimile signature. Peter Richings as Mercutio in "Romeo and Juliet"
Whole-length portrait, wearing tunic with slashed, flowing sleeves and embroidery. With text: "O, then. I see Queen Mab hath been with you." 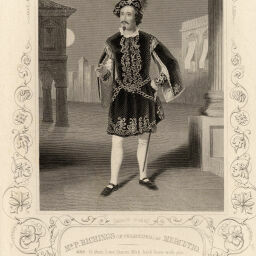 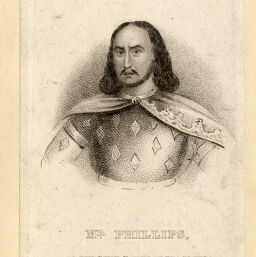 Peter Richings as Richard II in "Richard II"